CODY HARRIS fought off a stern challenge from Willard Bruguier to earn a place in the first round as he kicked off the Sunday evening session at the William Hill World Darts Championship. 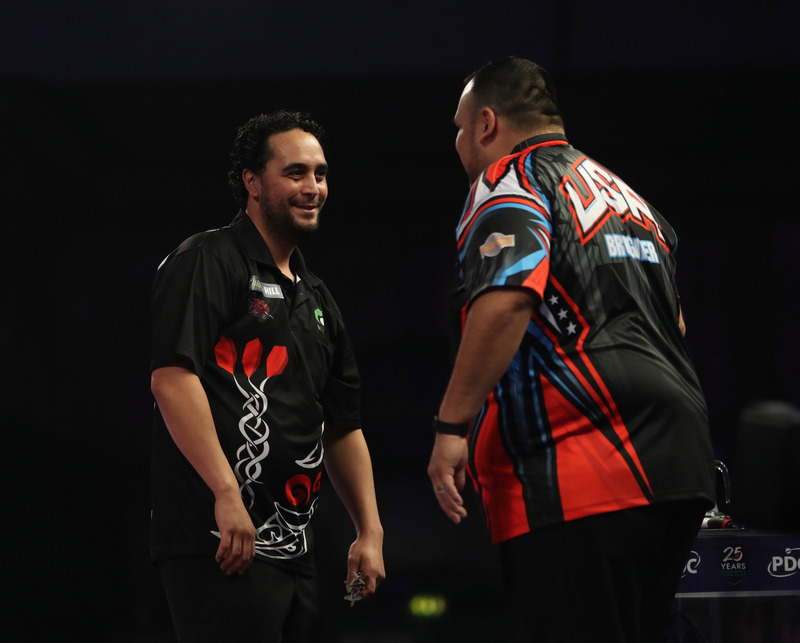 It was nip-and-tuck between the two, but the New Zealander finished strongly against the North American Champion to earn a tie with Ian White. There was only a whisker between the two averages with Harris just slightly over 84, and their checkout percentages were almost identical, but the DPNZ Qualifier’s three 180s provided an extra scoring boost that Bruguier couldn’t match. The two swapped breaks of throw in the first set before a nervy ending saw Harris miss a host of chances before finally nailing his double to clinch the opener. Bruguier responded and emerged with a 3-2 win in the second set with Harris tightening up on his finishes, but the Kiwi regained his composure in the decider to claim all three legs and move into the first round on his Alexandra Palace debut.